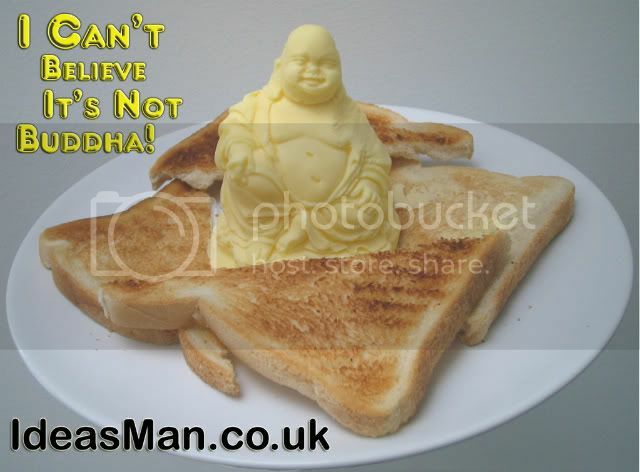 After reading about the CHEESUS CHRIST idea on this site, a very clever friend of mine called Dan Whitehead (who used to work with me on 'The Big Breakfast' TV show) contacted me with another idea for a unique food creation - 'I Can't Believe It's Not Buddha'. 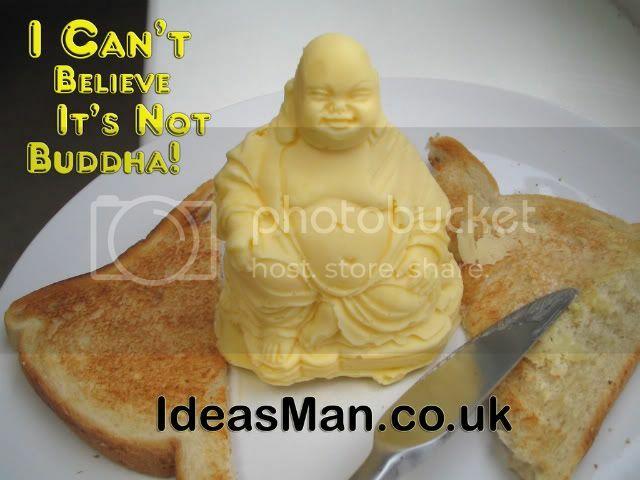 This idea tickled me so much I yearned to bring it to life. 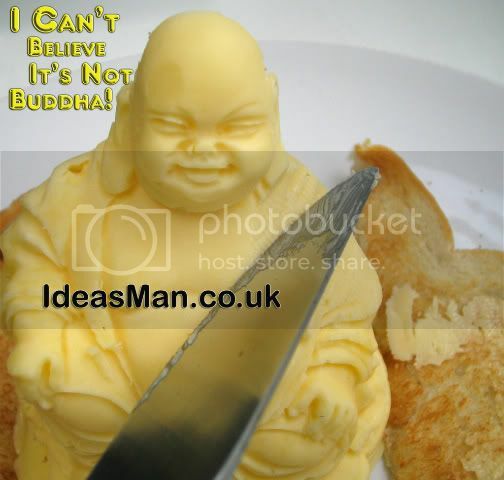 It took three different Buddha moulds (bought from eBay) and four attempts at making a butter Buddha, without the butter solidifying unevenly or breaking apart when the mould was removed...but I eventually discovered the correct method and the spectactular result is below.